People living outside UK for several years often do not transfer their pension account. They think that, they will end up paying heavy tax to transfer their account to other country. Many of them are unaware that they are already paying enough tax to keep that account in UK. A Qualifying Recognised Overseas Pension Scheme offers an alternative set up. With it you can receive money from your account without paying UK tax. The most wonderful fact of this scheme is that you will be exempted from inheritance tax also. * Once your account is transferred, you have to stay outside UK for five consecutive years. * This is an overseas scheme. You have to pay hefty tax on breaking these rules. As per the rules it is not mandatory that you have to shift your account to a country you are living. It can be to any country approved by UK. So, you can select country where your opportunity to earn from your pension account is maximum. You may ask, whether you have to pay tax in your residence country on the payments from pension account? It is true that you have to incur such tax, but it will be much less than paying UK tax. It is always better to study in details about QROPS before deciding your account transfer. Doing researches will not only enable you to know about advantages of this system but also assist you to take right decision. 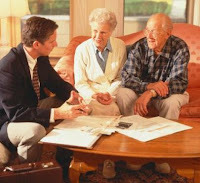 You can seek help of financial advisors to understand the process properly and make correct selection.